Arsenal have been dealt a huge blow after key midfielder Henrikh Mkhitaryan is set to be out for six weeks through injury, meaning that he’ll miss the Gunners’ key clashes against both Chelsea and Liverpool. As per the Sun, the Armenian international fractured one of the bones in his right foot, and because of this, is set to be out for around six weeks. This means that the 29-year-old is set to miss his side’s matches against Liverpool, which takes place on the 29th December, and Chelsea, which takes place on 18th January. 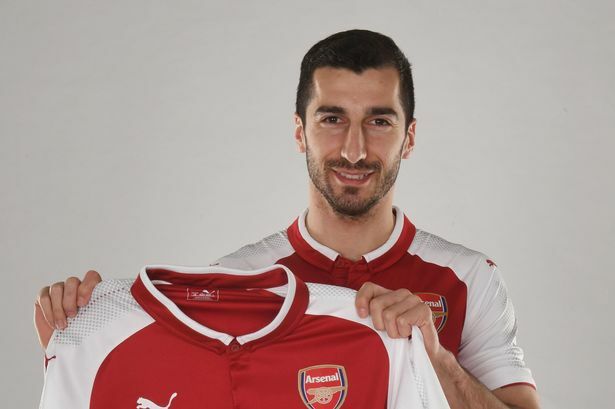 Mkhitaryan’s injury will come as huge blow for the north London side, as the Armenian has been a key part of their side ever since he joined the club from Man United in the January window last season. The former Red Devils star has made a total of 37 appearances for the club since his transfer from United, with the majority of these coming this season. Be the first to comment on "Massive blow for Arsenal: key player set to miss Chelsea and Liverpool matches through injury"